Great gift for military kids! 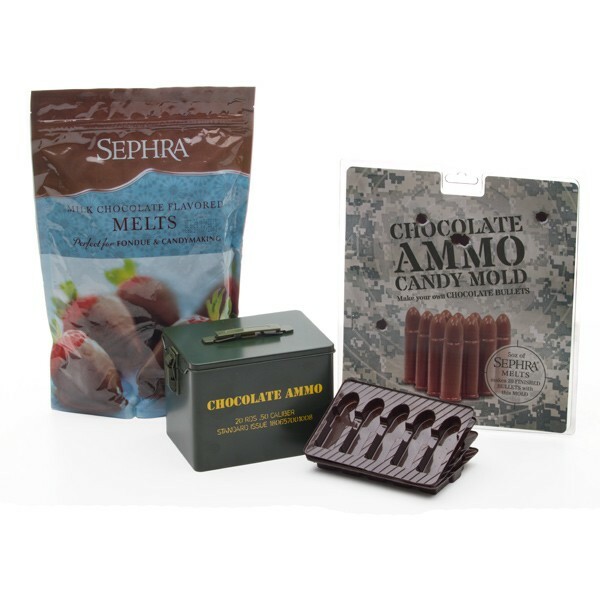 This Milk chocolate candy making kit includes everything you need to fill your ammo tin with your own chocolate bullets. Have a blast making your own chocolate bullets with our Milk Chocolate Candy Making Kit. Makes a great gift for kids, military and gun lovers!